The Colour of Water is a nice set of brushes made for Photoshop. This is a random set of traces made with a pencil and then painted with watercolors, working on basically every recent version of Photoshop. A set of destroyed brushes for Photoshop with a watercolor style. 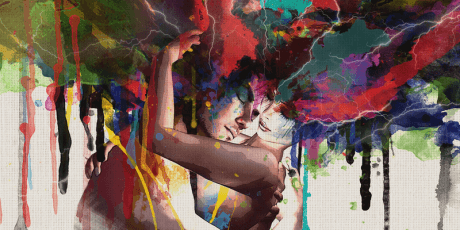 The set is composed of 26 high-resolution brushes. They can be used commercially or personally in any project. The highest resolution for one is 2500. 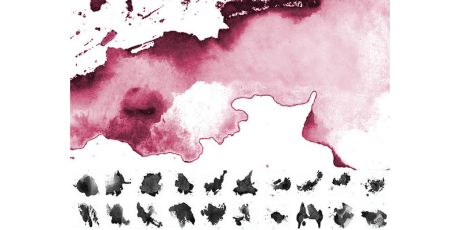 This pack has 17 free watercolor blob brushes that can be used in Photoshop and Illustrator. They can be used in personal and commercial projects, they work in old versions of Photoshop and they were created by Grant Friedman. 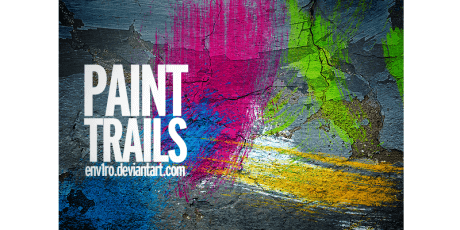 A set of trails and smudges that contains 7 high-quality brushes (around 2500px) which work with Photoshop 7 and more. 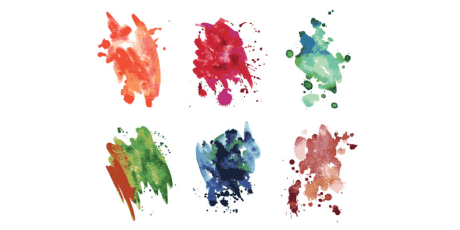 A set of 32 high-resolution brushes in a splattered watercolor fashion. It includes three high photo textures, and the set can be used with Photoshop 7 or newer. The brushes have a resolution of 1250px and 2500px, and they can be used personally or commercially. 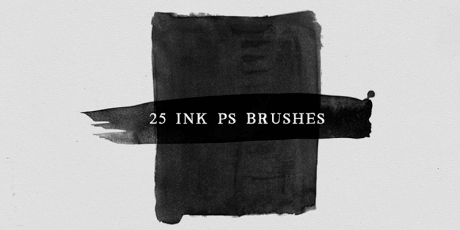 A pack with 28 compelling brushes for Photoshop, ranging from 600px to 2200px in size. They are perfect for any kind of design, especially to be used as backgrounds and complements for other elements like fonts or icons. These brushes are free. 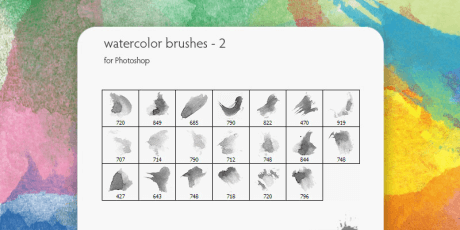 A beautiful set of brushes made in watercolor style for Photoshop. The set includes 20 tested brushes and they work from the CS2 version. They come in ABR format. 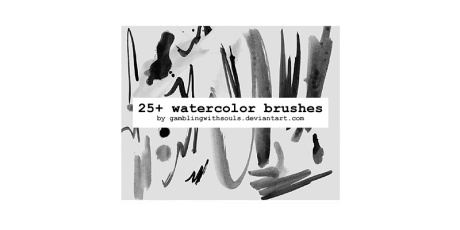 A pack with 20 brush designs made in watercolor style, perfect for creating textures, overlays, posters and other kinds of designs. 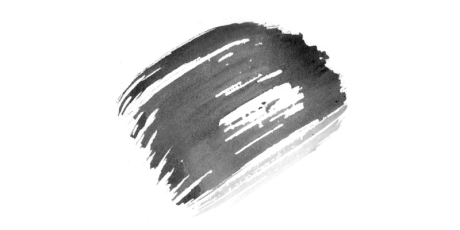 These brushes have a high resolution, the smallest being 1931px wide, and many of them being around 2300px. You can use this set both personally and commercially. 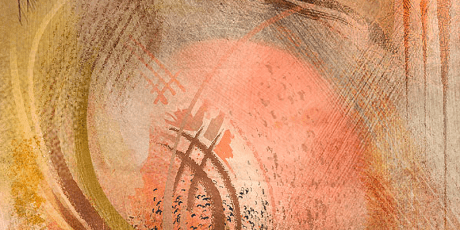 A big set of brushes for Photoshop made in ABR format with a watercolor style. This is a huge set, containing 83 brushes, perfect for any kind of design (printed or web), and most of them with resolutions ranging from 700 to 1200 pixels. These brushes are free. 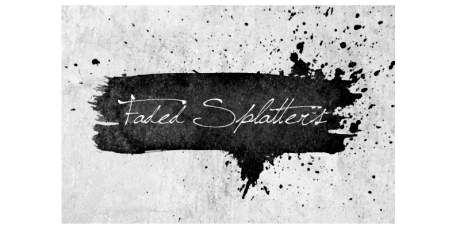 The Strokes & Splatters is a watercolor style brushes set made for Photoshop, which can be used for personal purposes in all kinds of designs. The set includes 25 high-resolution brushes. A beautiful set of brushes in a watercolor style. It is composed of 8 brushes, ready to be used in any design. This set has high-resolution brushes (ranging from 2000px to 2500) made for Photoshop, including 15 brushes perfect for any decorative purpose and multiple kinds of designs. 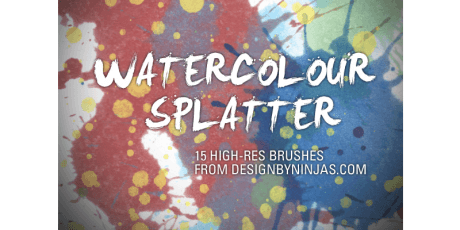 They are styled as watercolor splatters and can be used personally or commercially. 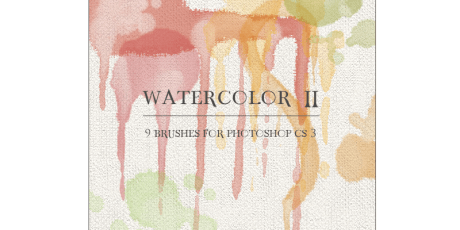 This pack contains 10 beautiful brushes for Photoshop made with watercolors. The idea behind this set is to give a realistic appearance to any printed or web design. The pack is really lightweight and it comes in ABR format. They are free. 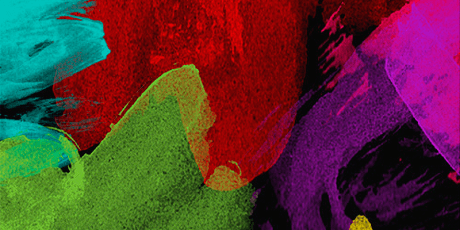 A set with high-resolution brushes in ABR format for Photoshop made with a watercolor style. This set is part of a larger one containing 26 cool brushes, ready to be used freely (commercial and personal) in any project. The resolutions vary between 1480 and 2500 pixels and they were created by Franz Jeitz. A set of brushes for multiple purposes made for Photoshop in ABR format. the set works in old versions of Photoshop, it includes 10 items and has high-resolution brushes ready to be implemented in multiples designs as backgrounds. These brushes are free for personal purposes. A pack of brushes, perfect for printed creations like business cards or posters, as well as websites. This set works with Photoshop, and it includes 38 brushes. 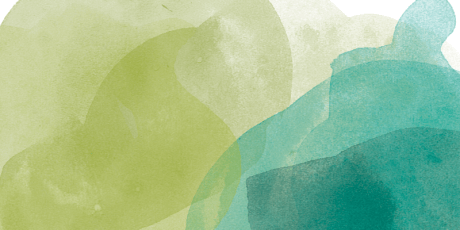 A pack with 20 brushes for Photoshop, all of them crafted with a watercolor style. They can be used in any design (printed, web, digital..) and they fit perfectly as backgrounds. The pack was created by Jan-Marc. A big set including 38 watercolor brushes for Photoshop. This set is very lightweight even though it has lots of brushes. It can be used in any type of design. It comes in ABR format. 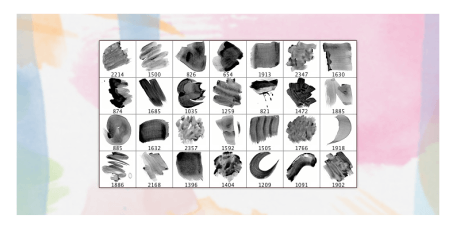 A set of beautiful watercolor brushes that includes more than 25 of them, in high-resolution and able to be used with early versions of Photoshop (7 or above). These brushes can be used freely. 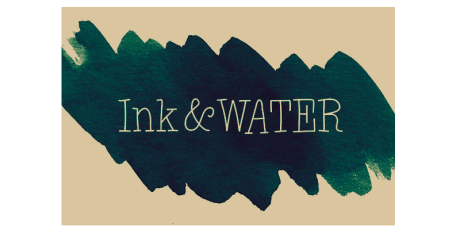 Ink and Water is a Photoshop set of brushes made with watercolor styling. It has unique smudges and wipes to add an organic feel to your artwork. They can be used in any design, whether it's printed or web. 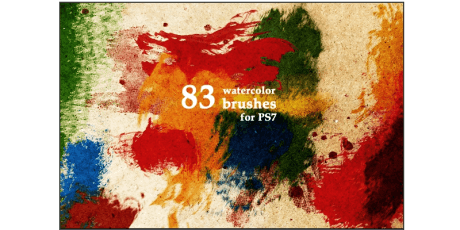 This pack of brushes for Photoshop comes with a watercolor style, including 9 brushes and it works in CS3 and recent versions. 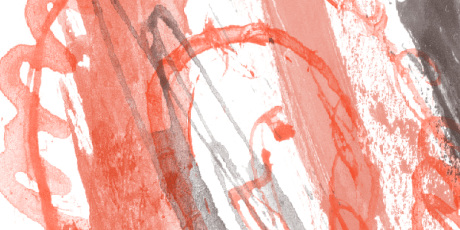 These brushes work as stamps, not as continuous paths, and the set includes a PDF file to be used with other software. 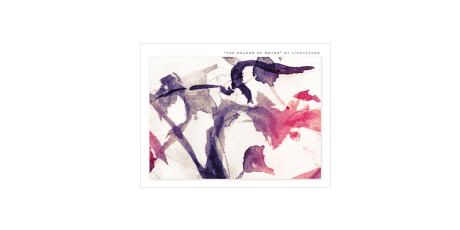 A pack with Photoshop brushes made with watercolors. They work in Photoshop CS3 and the set includes various brushes and they can be used in drawings, inking, paintings, textures, effects, and more. They can be used personally or commercially. 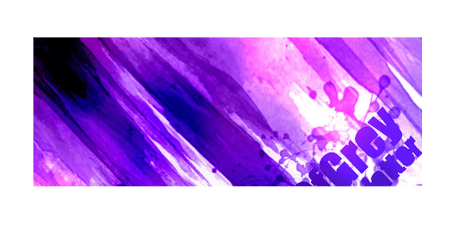 A set with 7 Photoshop brushes in high resolution and a watercolor style. 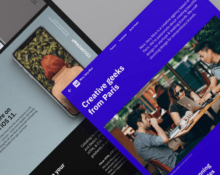 They work as complementary elements for beautiful printed and web designs focusing on fonts and illustration. The brushes are huge (2500px). 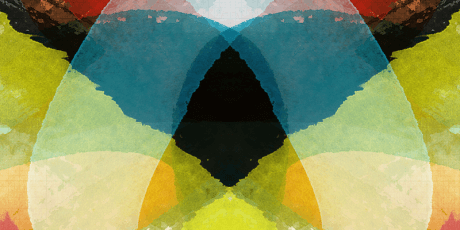 A cool kit made for Photoshop containing 9 brushes created with watercolors. They can be used freely in any kind of project (printed or web) fitting them both perfectly. This set was created by DeviantArt user crisfx. 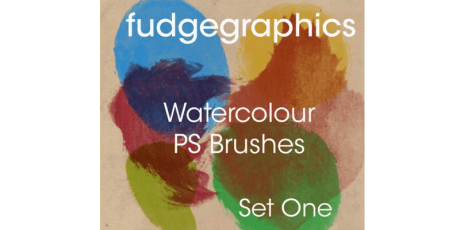 A multipurpose set of brushes with a watercolor style made for different types of software like Photoshop, Illustrator and more. The set includes files in ABR, EPS, PSD and JPG, and it includes 10 different items in high resolution. You can use this set freely. A set of photoshop brushes with a watercolor style. It includes 32 brushes and it is compatible with Photoshop 7 CE and recent versions. This pack is free for different purposes and designs. 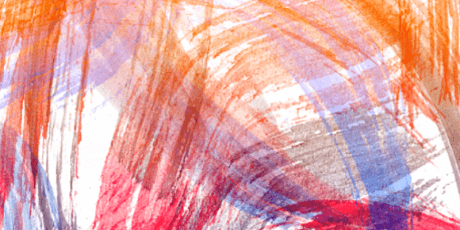 A set of Photoshop brushes made with watercolors in ABR format. They have a high resolution, ranging from 1440px to 1924px, and the pack includes 8 brushes, ready to be used in printed or web design. 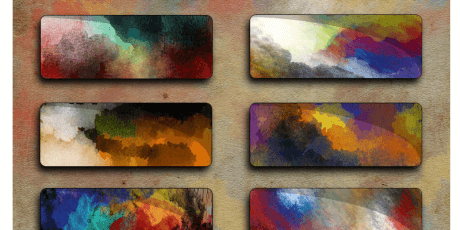 This set is made out of 14 compelling watercolor brushes. Their resolution is between 1597px and 2500px large, and you can use them with Photoshop versions even as low as CS1. They can be used in both personal and commercial projects. A set of watercolor brushes for Photoshop that includes 7 high-resolution (2500px) pieces, perfect for decorating any of your designs with wispy flicks and varied tones. This set can be used freely, it weighs about 11 MB and can be used in Photoshop CS3 and higher. 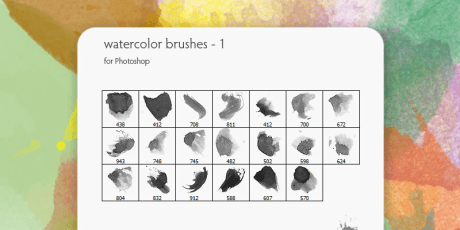 A nice pack of brushes for Photoshop made in watercolor style. 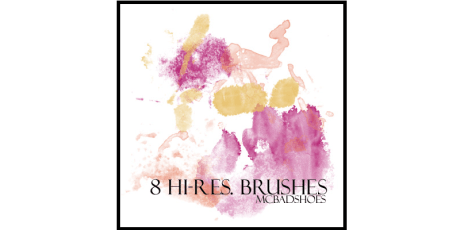 The set includes 6 brushes that work perfectly with Photoshop 7 and newer versions. 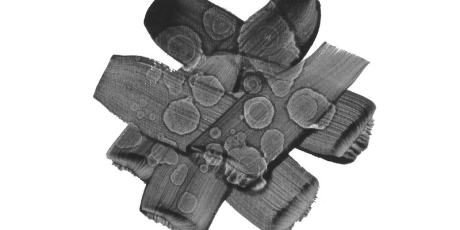 These are high-resolution brushes contained in a 4.5 MB ABR format file. 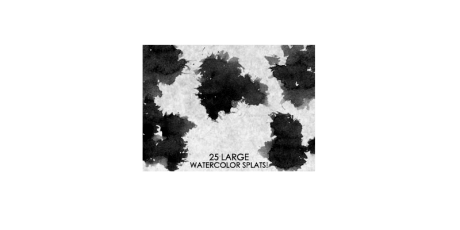 A beautiful and large pack of Watercolor Splat Brushes made especially for Photoshop in ABR format. 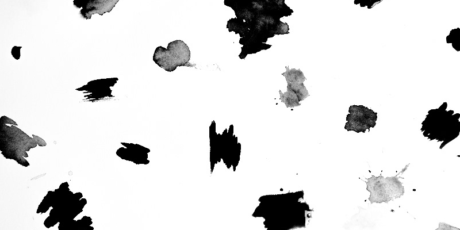 The set includes more than 25 high-resolution brushes created using black watercolor paint on paper. 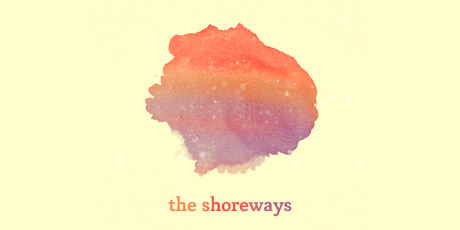 This set contains 7 beautiful watercolor brushes made for Photoshop. 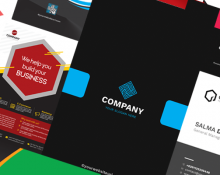 They are totally free to be used for any purpose, like printed design, web and more. You can use them personally or commercially in any kind of project. 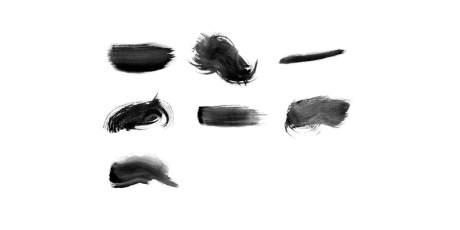 A beautiful set of brushes made for Photoshop, intended for commercial and personal purposes. It includes 25 brushes in watercolor style, perfect for printed, web and digital design. 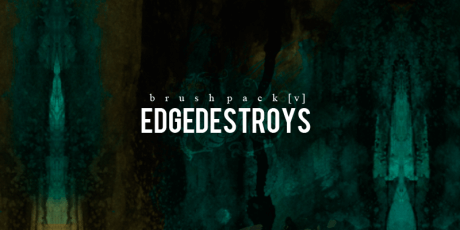 A beautiful pack of brushes for Photoshop, perfect for multiple kinds of designs. 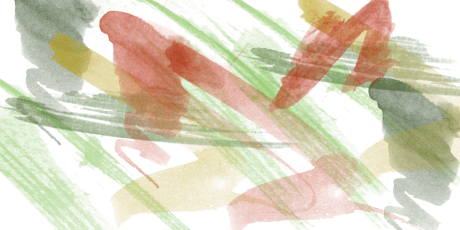 It includes 16 brushes, made using watercolors in .abr format. They can be used freely. 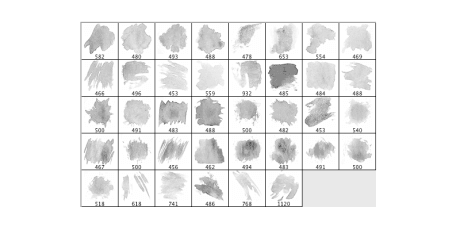 A watercolor brush set made for Photoshop in ABR format. 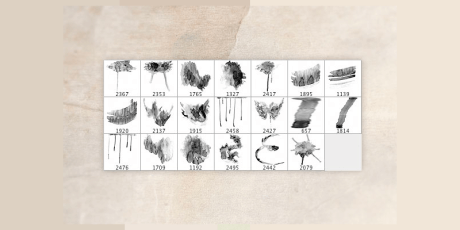 This pack includes 20 brushes in high resolution (2000px), looking great on paper, as well as web environments. They were created by Sebastiano Guerriero. 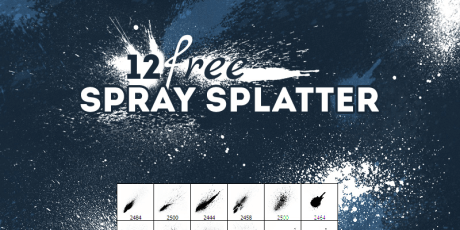 A set of 12 free Photoshop brushes of spray splatters. 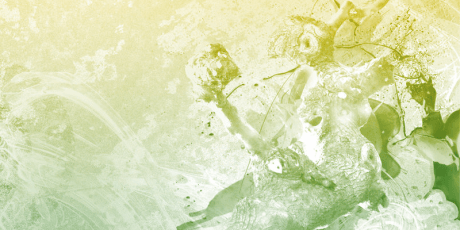 An excellent set of resources for creating grunge and dirty effects. The pack contains 12 brushes in high resolution, up to 2500px, useful for backgrounds and textures. You can download it for free and use them for personal and commercial purposes.